Eleanors Visit to our shop, 2010. Sew Expo Trip. 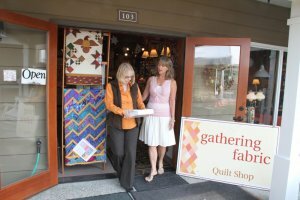 Welcome to Gathering Fabric Quilt Shop, located in the heart of wine country in the historic/tourist district of Woodinville, Washington. We invite you to shop our fine selection of "quilt shop only" fabric by popular designers from Moda, Lakehouse, Westmister, Free Spirit, RJR, Riley Blake, Wilmington, P&B, In The Beginning Fabrics, Michael Miller, Timeless Treasures, Kona Bay, Andover, Hoffman, and many more. Our shop offers select patterns from local designers as well as books, notions and accessories for the quilt maker, homemaker and textile artisan. 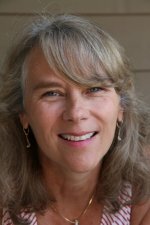 While you're in town, you may wish to visit Martingale, and tour their company for "best loved quilt books" or favorite places such as Molbak's Home and Garden Center only a few miles away. Woodinville is home to many specialty wineries, a lavender farm and wonderful restaurants. Woodiville boasts of being one of the best places to visit in the Northwest. But quilters come for our fabric and the quilt shop is packed full of color, texture and design in all the palettes you are looking for. Serious fabric is what we specialize in: prints, batiks, solids, seasonal, tonals, blenders, brights, solids, civil war and reproduction. We carry the perfect fabric for the special quilting or textile project you are working on. Come and see our beautiful shop. We offer only the finest quilting materials and supplies in our cozy and convenient atmosphere. Check out our Saturday Sampler, Quilt Clubs, Blocks of the Month, classes, demos, workshops, events and retreats in our current class schedule and newsletter. We offer many activities for the new and experienced quilter with classes at all levels. Here, we provide the inspiration to spark your creativity and the expertise to guide you through your project from start to finish. 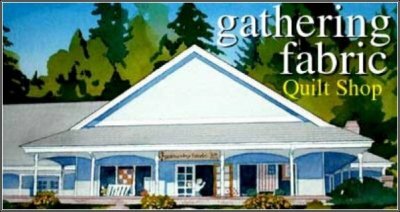 We invite you to come by and see what the excitement is all about at Gathering Fabric Quilt Shop, meet our friendly staff and be part of our growing community of quilters and friends and see what brought Better Homes and Gardens & American Patchwork and Quilting to our shop in Fall 2004. We look forward to your visit. Awards: "Patchwork Garden", silver medal for Garden Creators at the 2009 Northwest Flower & Garden Show, Seattle Washington in a joint collaboration with Olympic Nursery, Woodinville.